Brucefield Industry Park in Livingston is welcoming Edinburgh healthfood phenomenon Diet Chef as the latest addition in a line of businesses looking to relocate there. Diet Chef, which took just a decade from conception to becoming the UK’s largest delivered diet company with over 200,000 customers, has leased the 37,000 sq ft 2 Rennie Square at Brucefield on a ten-year lease. The deal is the latest secured by Colliers International acting jointly with Denwolf Asset Management. Pentland added that Diet Chef, which is relocating from Newbridge in Edinburgh, is not the first firm to commit to Brucefield as the dearth of quality available premises in the capital forces up prices. The Diet Chef deal is the 14th new letting or renewal at Brucefield in the last year. It follows the recent completion of refurbishment at 1 Drummond Square, a prominent 10,880 sq ft area on the park. The refurbishment of 1 MacAdam Square, 27,300 sq ft, continues. Since the implementation of a new management regime last year, seven tenants have renewed their leases, two more have moved to larger premises and the agents have secured a number of new lettings on the estate. In addition to this, strong occupier interest means more than 60,000 sq ft is under offer, with a strong pipeline of enquiries. 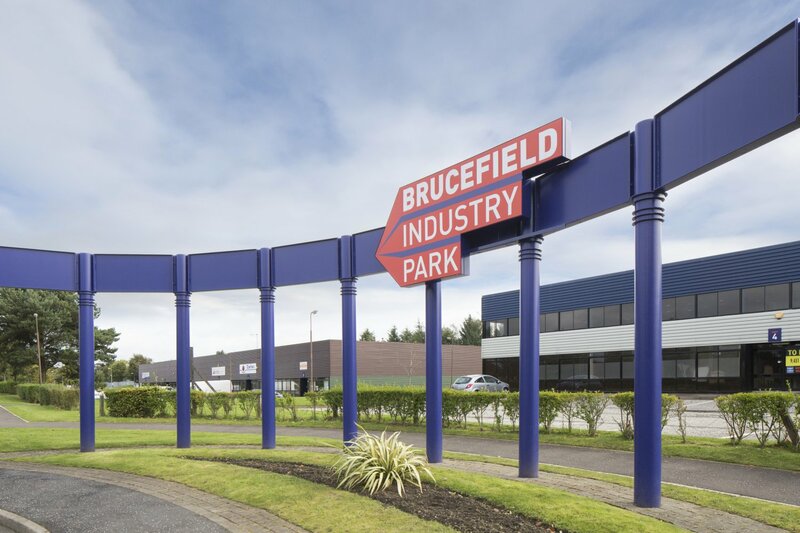 Brucefield Industry Park provides workshop, warehouse and industrial storage space for West Lothian. An ideal location for businesses based around both Edinburgh and Glasgow it lies just 10 minutes away from Junction 3 off the M8.